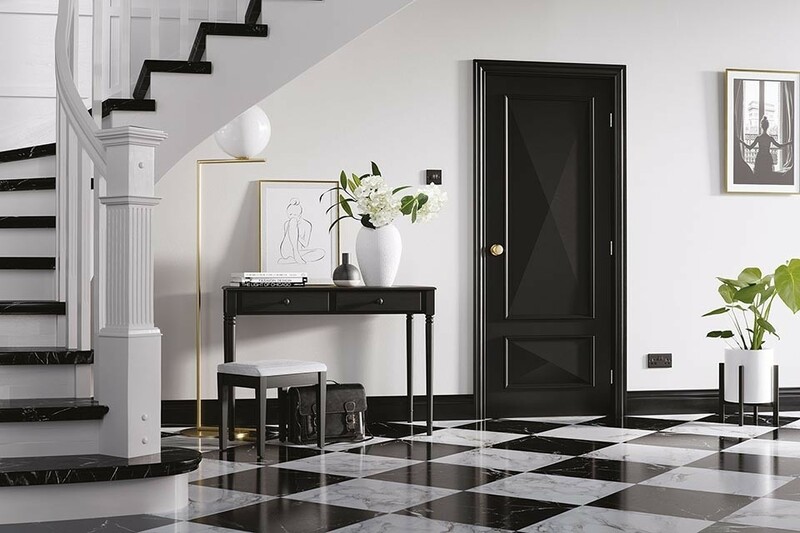 Stylish and elegant panelled interior door in smooth white primer. Traditional 2 panel design with raised diamond shape (cricket bat style) panels and raised mouldings. 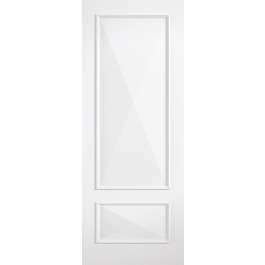 Matching glazed door and FD30 fire door also available.